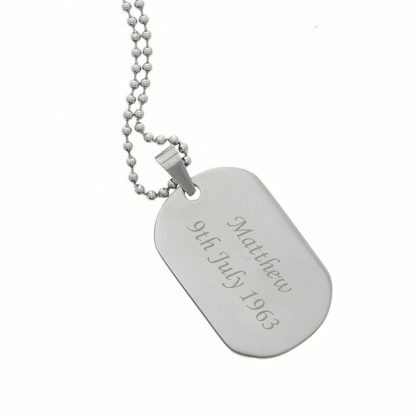 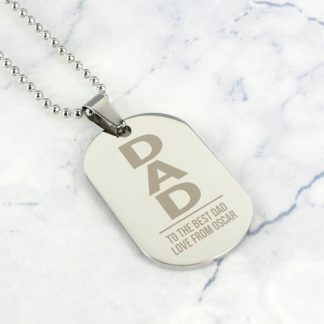 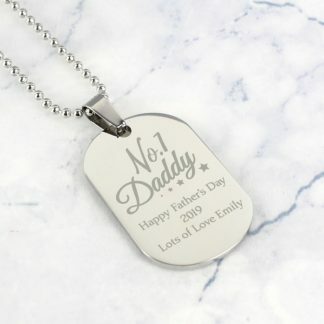 Our Personalised Stainless Steel Dog Tag Necklace is perfect for today's modern man. 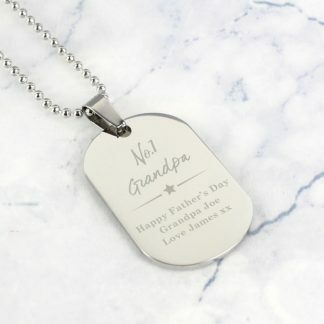 You can personalise the tag with a message over 2 lines. 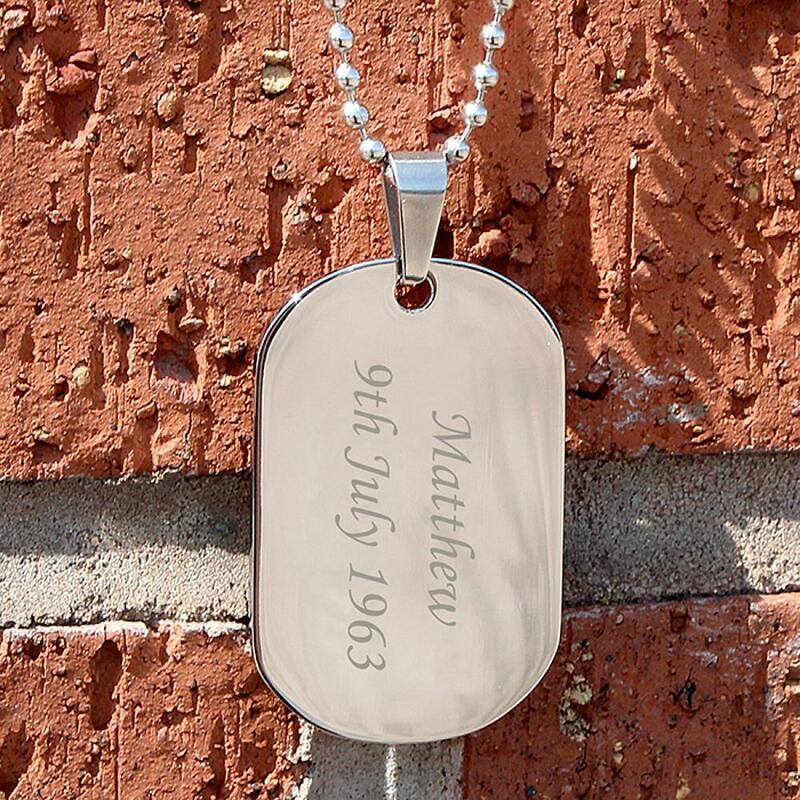 The chain is 20.5 inches long. 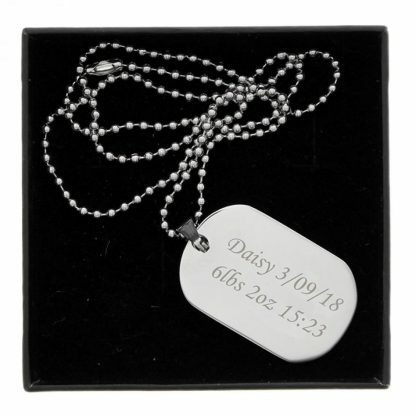 The dog tag measures 4cm x 2cm x 0.3cm. 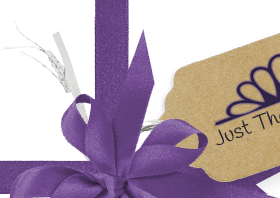 Comes presented in a stylish gift box. 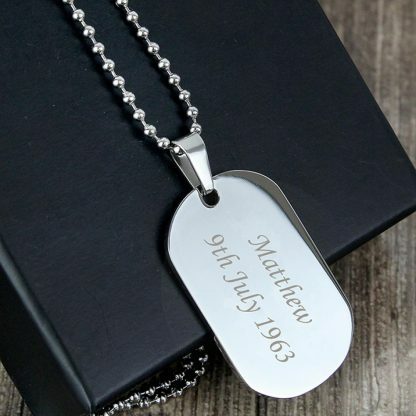 Steel is the material for an 11th Wedding Anniversary.